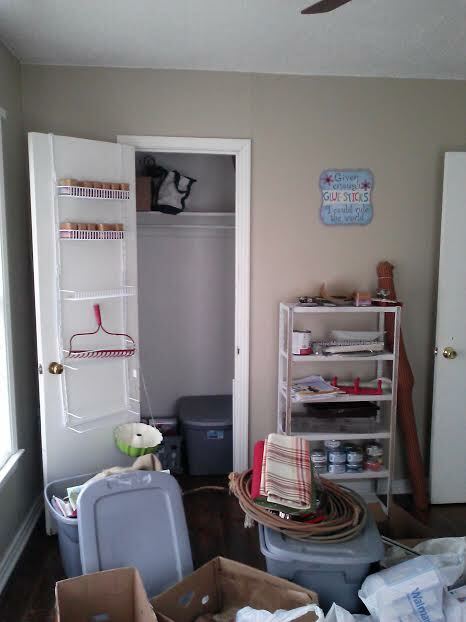 This is my creative thinking room AKA my craft room. 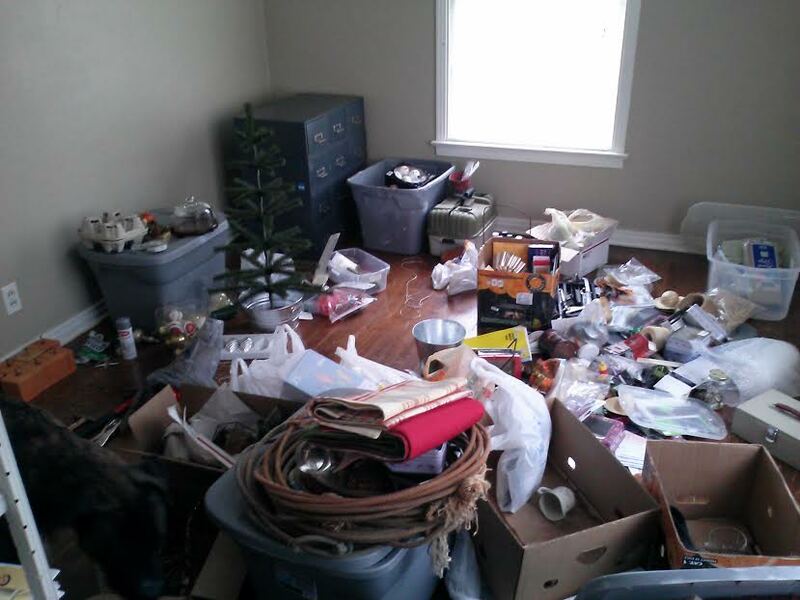 My biggest accomplishment with this challenge was clearing the floor of all the clutter and finding a ‘home’ for it. Some of it got organized in the room, some got packed and moved to the garage (holiday decorations), and some got donated. 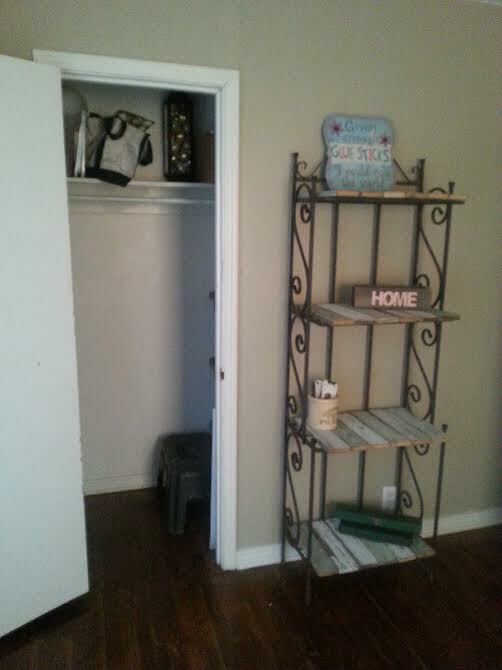 My “desk” is made of Craigslist finds and a store discounted door. The chair was given to me. 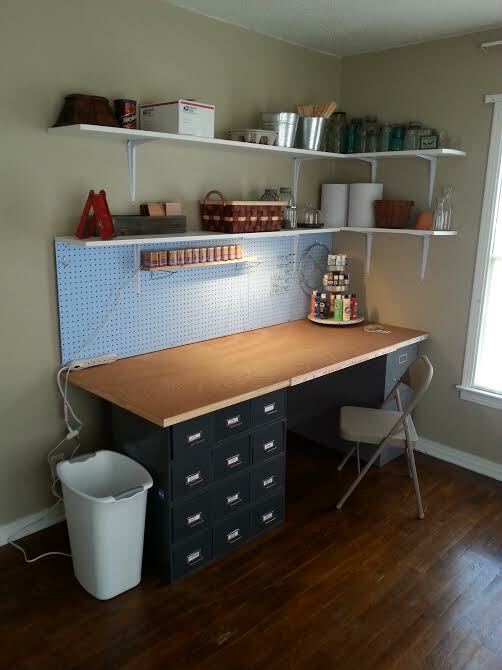 The shelves and pegboard were my biggest expense. I already had the brackets, paint (and supplies), and hardware on hand. The bakers rack came out of my craft booth, but I got that for free and cut old boards to size for the shelves. 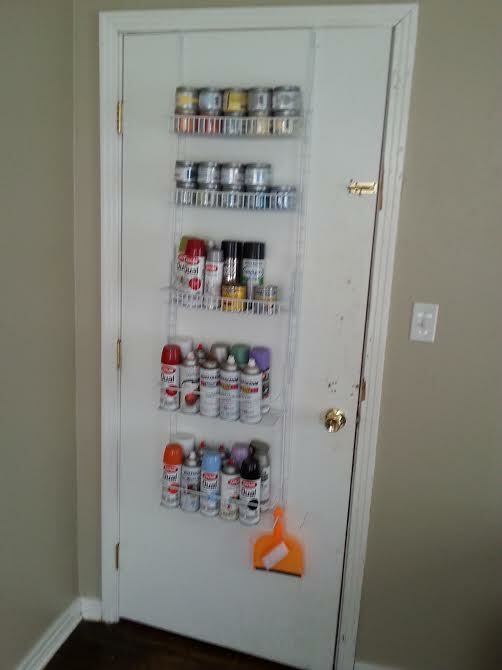 I had an over-the-door spice rack from our previous place that will temporarily hold my paints. We decided late in the game that we wanted a guest space too, but it is currently not in the budget. 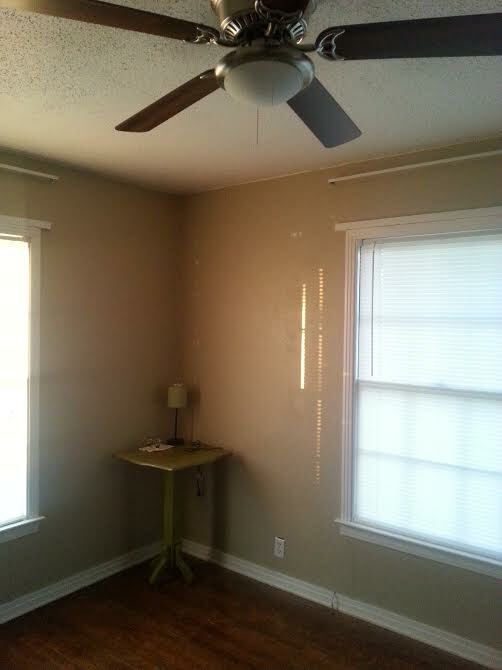 I still need to hang curtains, touch up some paint, buy a bed and linens, and possibly a dresser. I can’t believe that I have down-sized so much! It doesn’t look like I have much, but that is because it all has been tucked away and the extra space gives me an excuse to buy more stuff! I have spent less than $60 on this challenge and that makes me happy! 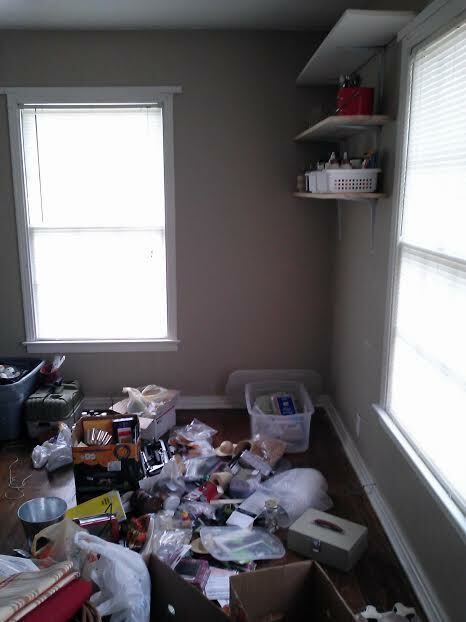 Wow, what a decluttered space to get those brain cells thinking again! Well done! 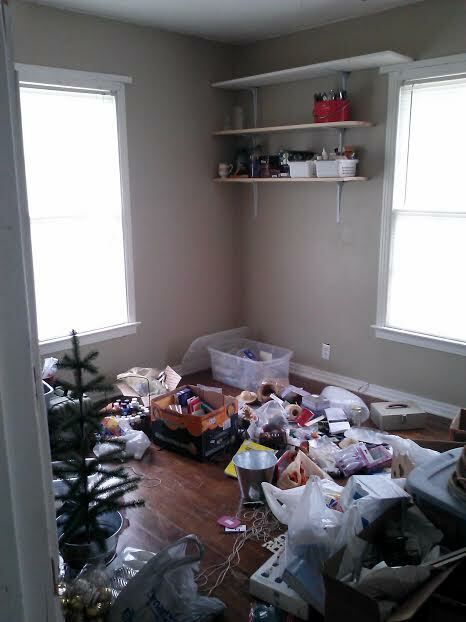 Think you want to make over a room, too? Sign up HERE to get email alerts about the next challenge!